Kids like routine. They like things to be just so. They like knowing that when they get up int he morning their favorite TV show will be on and they can have a bowl of their favorite cereal. When you travel with kids their routines, schedules and habits are bound to get thrown off. When you have a kid who is set in his ways, new experiences can be overwhelming, intimidating and sometimes scary. 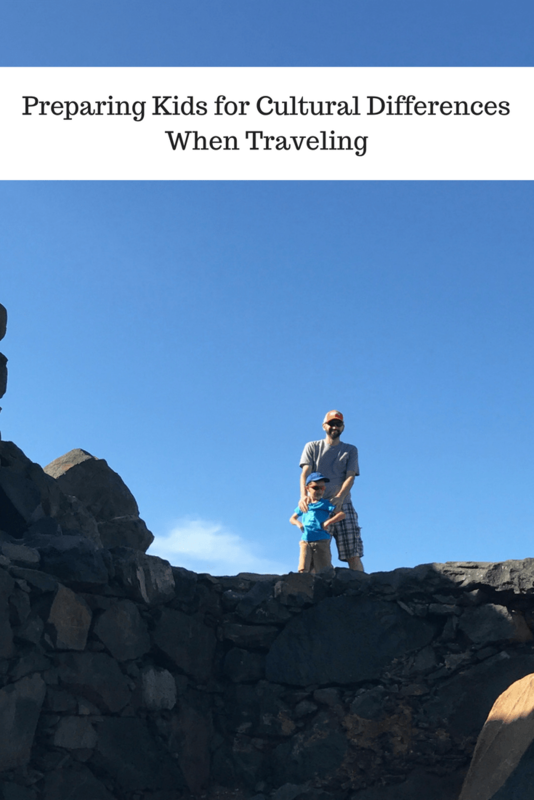 Even though travel to adults can seem like an adventure to kids it can be overwhelming. Before we left for Aruba Jack was very anxious about the trip. Everything from the plane ride to where we would be going and what we would be doing was a concern to him. In part of getting ready for our vacation we also talked to Jack about what to expect while we were out of the country. Languages, let kids know that where you are going people may not speak the same language. 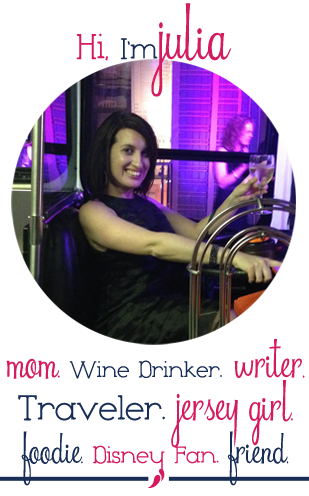 Food, talk about how they may not always be able to find their favorite items on menus. Let them know about time changes, it can be disorienting for everyone when dealing with time changes and jet lag. Keep them on their routine (as much as you can). Kids thrive on routine and keeping parts of their home routine when traveling can be a big help. Watch You Tube videos of places you are going to visit. Check out places you plan to visit and look for live web cams and photos to give kids an idea of what to expect. Find age appropriate travel books to read before the trip. I love reading books about destinations or that take place where we are visiting. Listen to music of the country you are visiting. You can use internet radio to listen to local radio stations in other countries. We love to listen to Aruban radio stations before our visits. If you’ve visited before look at pictures from previous trips, Jack didn’t remember visiting Aruba when he was one but he loved looking at our pictures. The pictures made him feel connected to the place and gave him an idea of what to expect. Pack a camera and plan to make a scrapbook when you get home. 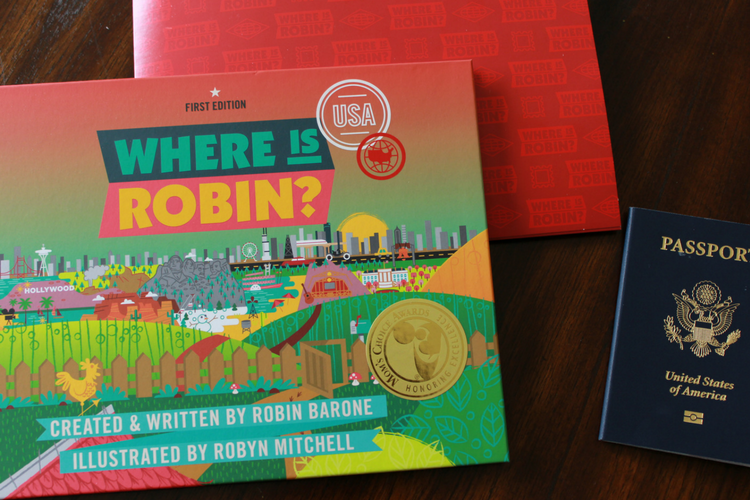 We were recently sent a book called Where is Robin? USA that uses travel stories to encourage curiosity in kids. Kids who are curious are less fearful, more open and more confident. Travel is a great opportunity to boost curiosity in kids and help them become more confident in themselves. Where is Robin? USA is filled with colorful pictures of places to visit in the United States. I love how the book quickly takes kids on a trip through the United States and inspires them to visit places they haven’t been. The book starts it’s journey in Philadelphia and ends in New York with stops in Nashville, The Florida Keys, Arizona and California along the way. I love that book includes places that Jackson has visited, like the Outer Banks and places that we hope to travel to someday like Seattle to visit his Aunt. The book features Robin a bird who sets off to see the country and we see her at each of her stops, when she returns home she’s excited to see her Mom and to then visit the world. Before we left for Aruba Jack was very nervous about the trip but after looking at pictures, checking out websites of places we would visit and talking about our plans he was excited to go. While on our trip we decided to take an off-road tour of the island. It was amazing to see my usually cautious and anxious kid climbing rock formations and exploring caves. He was so proud and excited about his adventure that we put a scrapbook together for his class. Even in the most cautious of kids, travel can boost confidence and help with fears. The more we learn about places and people we are visiting the more open-minded and compassionate kids can be. I was sent a copy of Where is Robin? USA to review and giveaway, I felt that this book fit nicely with this post I had been working on, on traveling with anxious kids. All thoughts and opinions are my own.